Trying to innovate with new application and scale to accommodate growing business needs might not be possible with traditional databases. Databases are expected to respond with sub-millisecond latency, and the read/write speeds of traditional databases might not be good enough for use cases such as session stores. 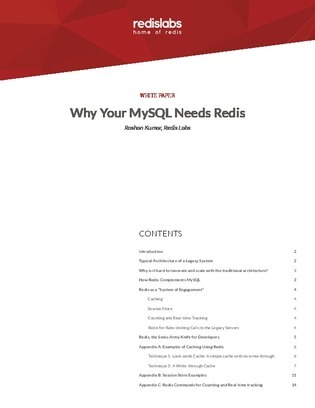 Explore how you can boost the performance of your apps without a costly replacement of your backend databases, as well as complement MySQL.